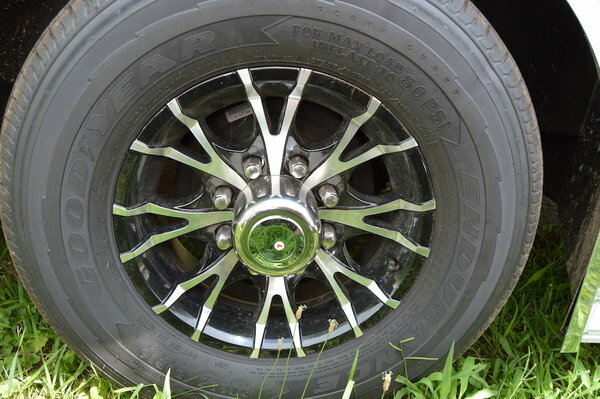 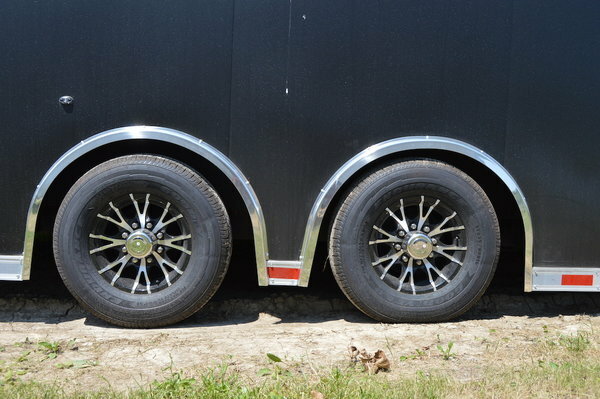 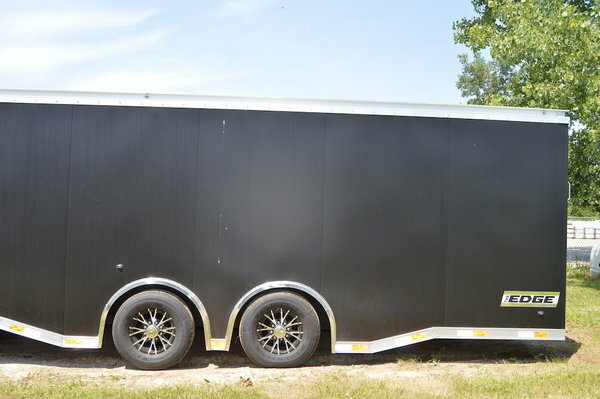 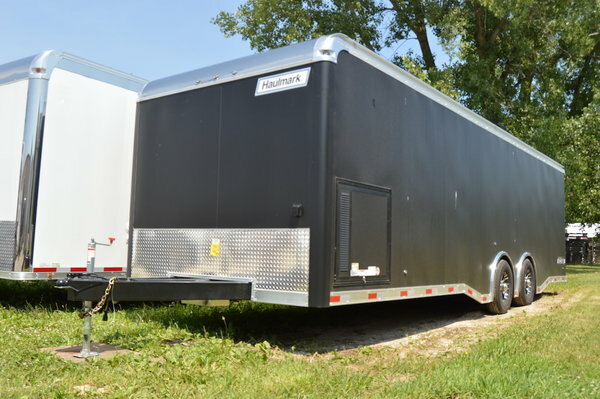 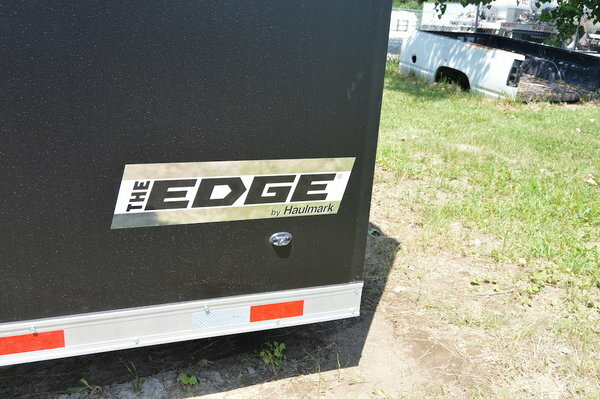 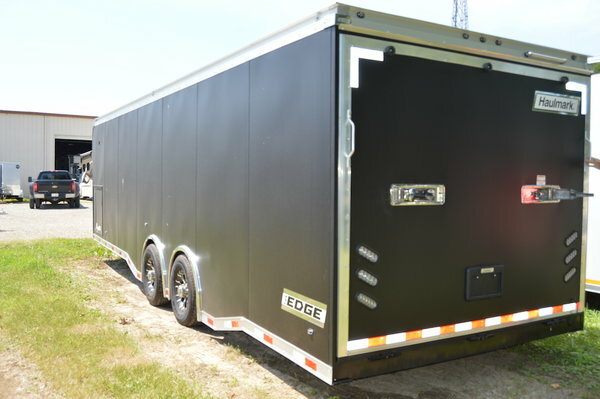 This trailer is gorgeous with a special MATTE BLACK paint, custom wheels with good year tires and all of the incredible options that are included with the EDGE series. 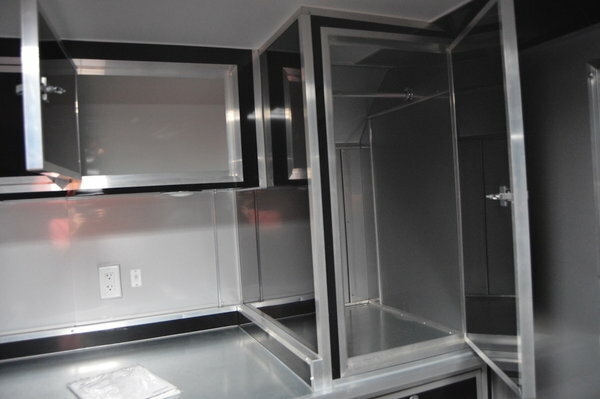 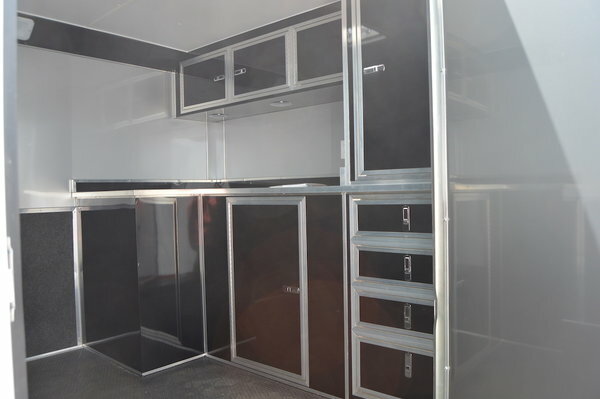 On the inside of this 28' trailer you with see multiple tie downs, full cabinets up front including a beautiful multi level tool box. 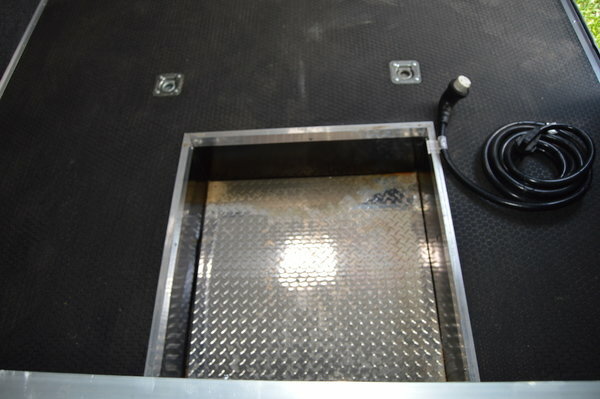 The floor is rubber coin for the high end finish, long lasting durability, and ease of cleaning. 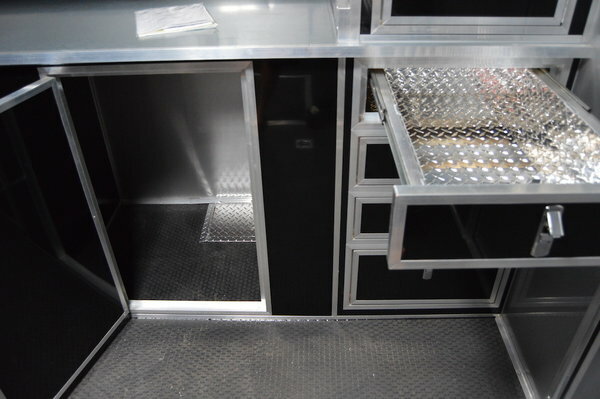 There is a special compartment in the floor for extra storage, extra height for loading and unloading, the ramp also has a extension to make loading any type of vehicle easier. 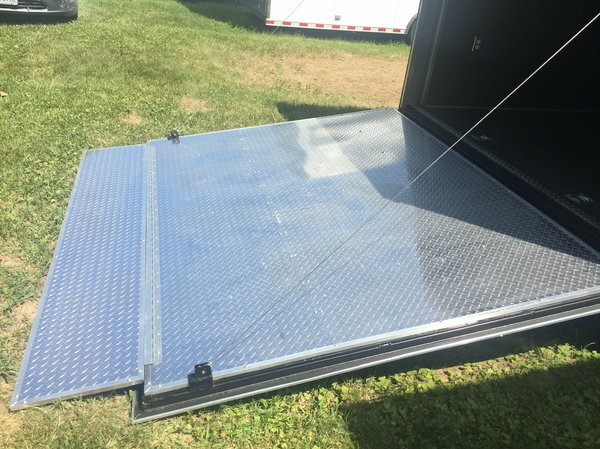 Other great options that this trailer has is carpet up the side walls, diamond tred on the ramp door, and inside of the tool box. 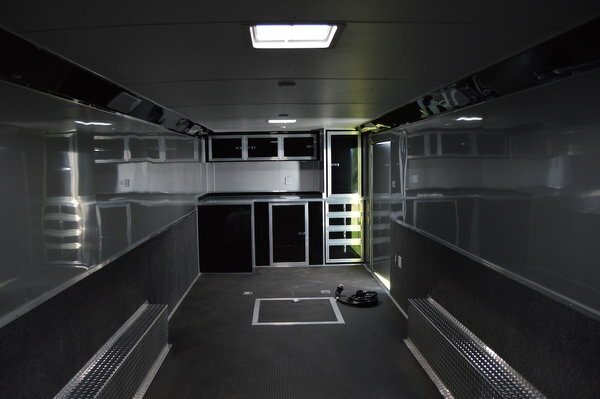 The interior is two toned with silver and black contrasting each other to give a modern clean look. 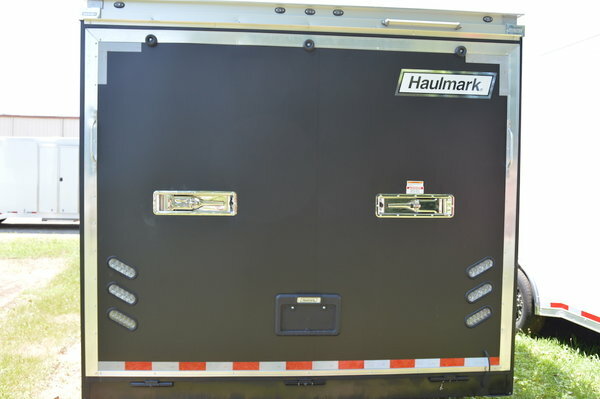 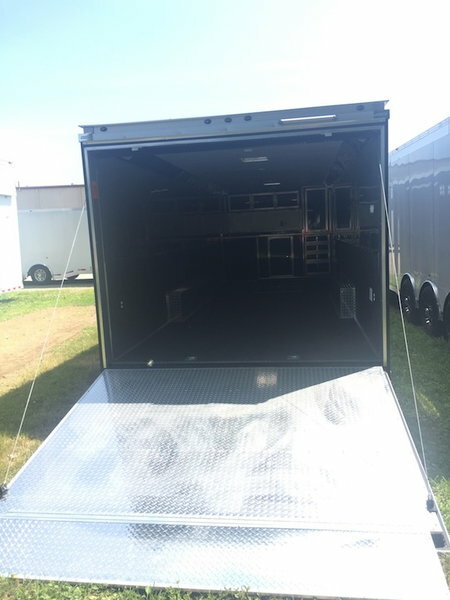 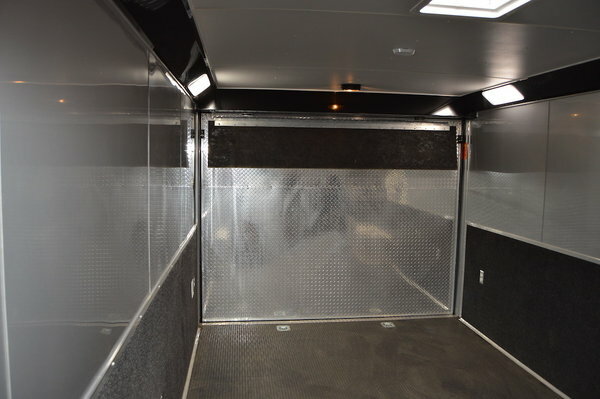 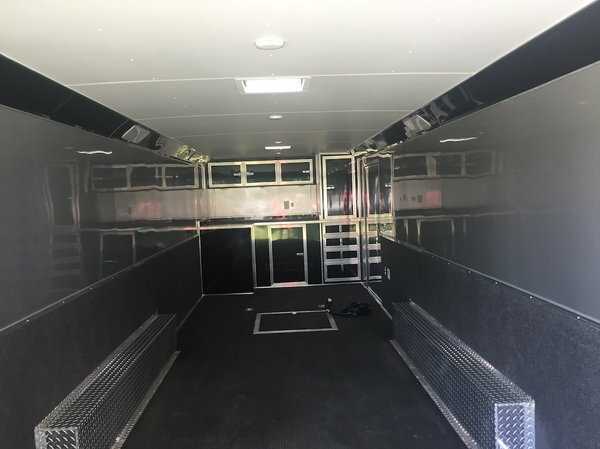 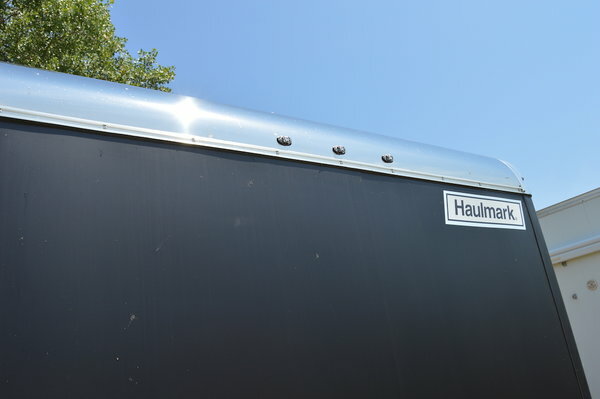 Led lights on the front and rear of the trailer, along with lighting under the top cabinets up front, and lights aluminating the floor of this trailer. 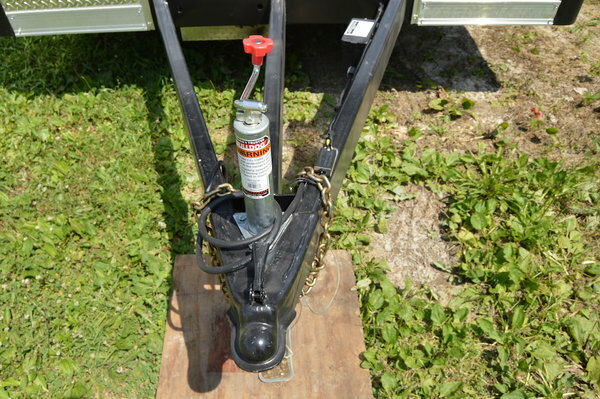 $300 power cord plug in, and a spare tire holder.